It seems that message is resonating with the community. 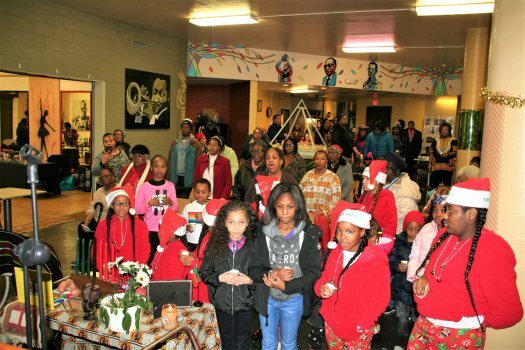 The 2018 Peace on Earth attendance doubled from the year before, with about 300 guests partying to festive music. 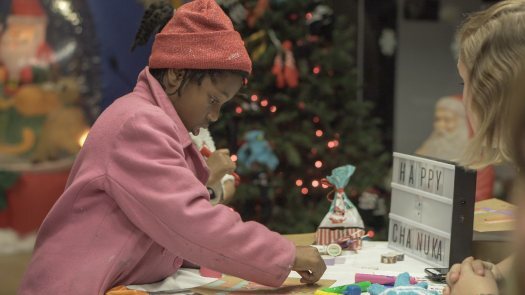 The Lucas County Juvenile Court Lobby was transformed into a “Winter Wonderland” to foster joy, hope, and holiday cheer. 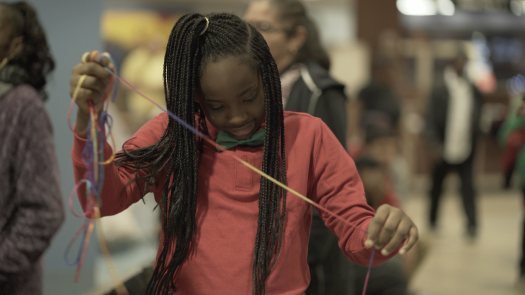 Children and families were able to participate in an array of activities. 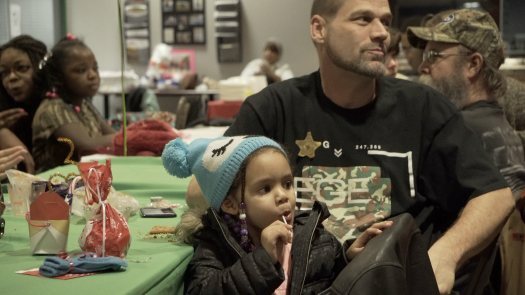 Lucas County Juvenile Court provided craft stations, cookie decorating, and an opportunity for each child to take pictures with Santa Claus. 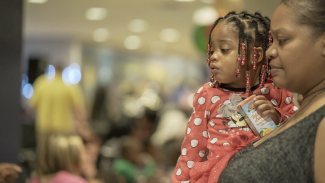 Center of Hope hosted a gift giveaway for all children ages 0-14. Midway through the program, the crowd paused to honor seven of its Parent Support Program participants. 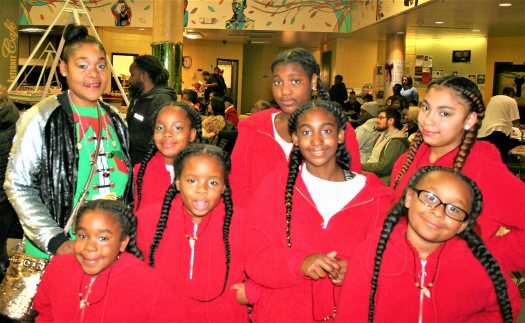 These individuals were recognized for graduating from Center of Hope’s Parent Education Program during the month of December. 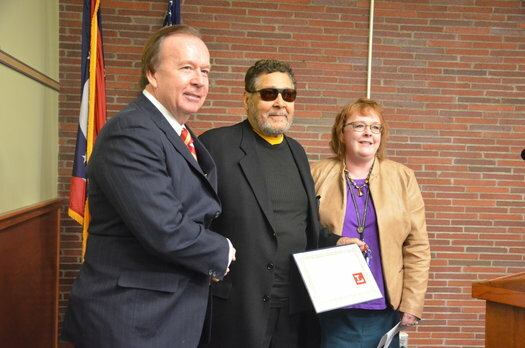 Others were honored for maintaining employment for 90 days or more through Center of Hope’s workforce development program. The Central Catholic High School Glee club provided live entertainment, followed by Dr. Tracee Perryman. 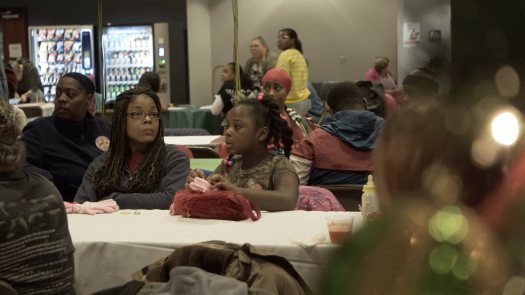 The Center of Hope ELEVATE program, winners of both the 2018 Ohio Department of Education 21st Century Literacy Achievement, and Excellence and Innovation Awards, performed the finale. The ELEVATE students performed their signature song, “ELEVATE,” which they recorded this summer, and is now available on Soundcloud. 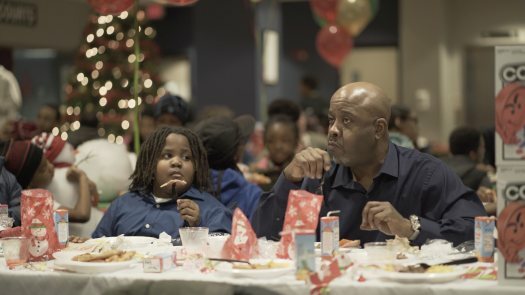 Center of Hope concluded the program by sponsored a sit-down community dinner for all guests. For more information about Center of Hope Family Services or its programs, visit www.cohfs.org. A drive through the streets of Northside Toledo on Friday’s mild evening would have usually been like any other, dark and quiet. 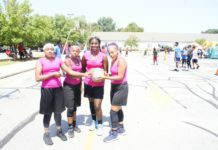 Though at Word of Faith Ministries on Stickney Ave near Woodward High school, the scene was brought up by a more energetic and cheerful tone. Cars parked along the street are packed with youth, eager to join in on the affair. Though before they opened the doors to the church, on the corner of Stickney and Russell, they are greeted by a man and a dolly hand truck, packed with items halfway to its top. The man says with a welcoming yet weighty voice, “watch yourself now, careful”. The children obey as the man carries past. 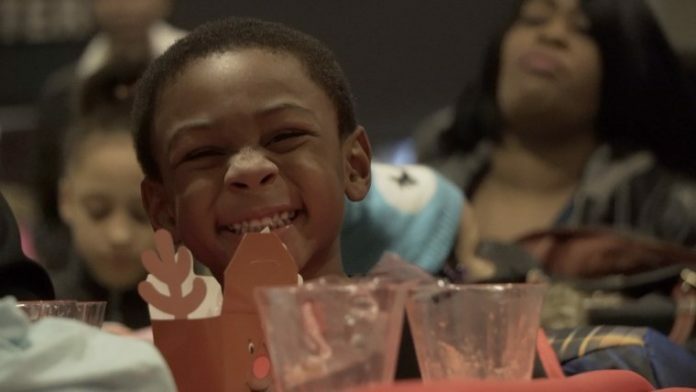 Though when they enter into the building, the darkness of daylight’s fall resides and the kids embrace the warmth of festivity.They are greeted by smiles, laughs and warmth. Also, by gifts. 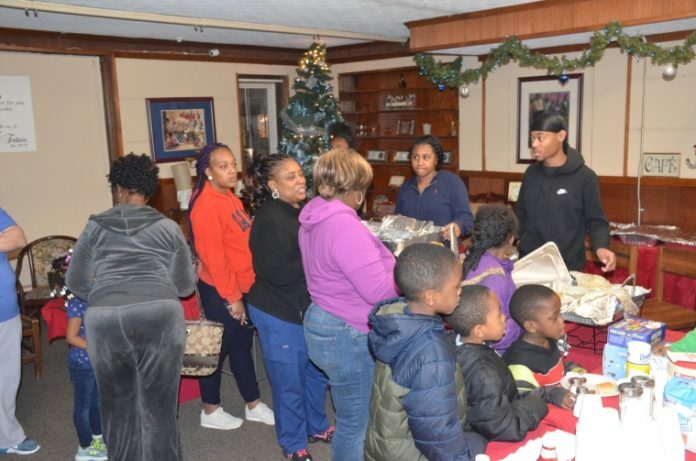 Over 120 families gathered to receive donations of coats, gloves, and food boxes December 19th. It is a tradition that has been going on for seven years in which Franklin Park Lincoln car dealership has moved to provide a holiday contribution effort to the community. Foods like potatoes, apples, whole turkeys and canned goods, along with newly bought winter clothing, were donated to families in need of assistance. “We try to give back to the community” says event organizer Mike Colbert, who also works with Franklin Park Lincoln. Families were also welcomed to a hot meal dinner courtesy of community volunteers. On the menu was a generous selection of well prepared chicken breast, fried potatoes, mashed potatoes and gravy, corn and more served with hot chocolate and tea. “I just love to cook” said Martin McCabe, who cooked and prepared the hot food. He has been with Mr. Colbert in the annual event’s organization since the beginning. “Unfortunately the world’s gonna keep having poor people”. 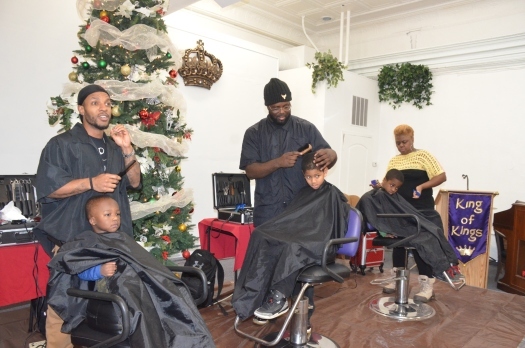 Aside from the food and winter wear, local barbers and nail stylists also donated their time and skills for good measure. To the tunes of cheerful music, children were able to get their hair cut and shaped up on the church’s stage and nails polished just off to the side. “Lots of people hurting” said Rodney Holmes, an elder at Word of Faith who volunteered to help. “This is a gift in and of itself, of giving back. They need help.” Mr. Holmes moves to serve his community in the way he can. As to the vision of Mr. Colbert of Franklin Park, he gives new winter coats to the families of the community, also food by the box. He does it all with a hearty and welcoming, yet weighty voice. He also does with a dolly, packed halfway to its top. Mattie Taylor is seen here with Ms. Billie Johnson, President/CEO of the Area Office on Aging of Northwestern Ohio, Inc. 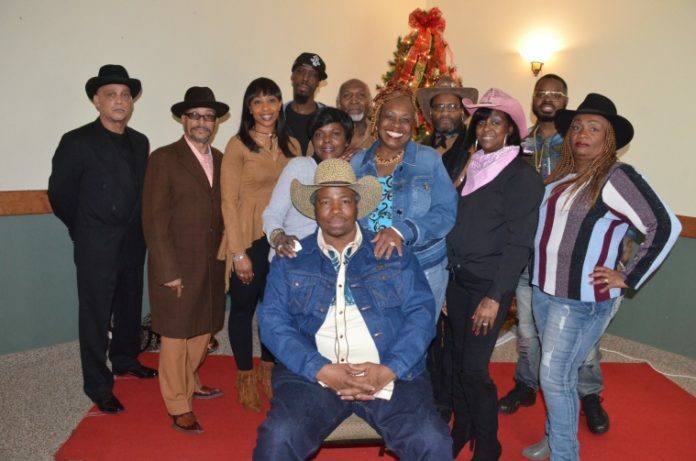 This was at their Senior Holiday Party on December 14 at Premier Banquet Center . 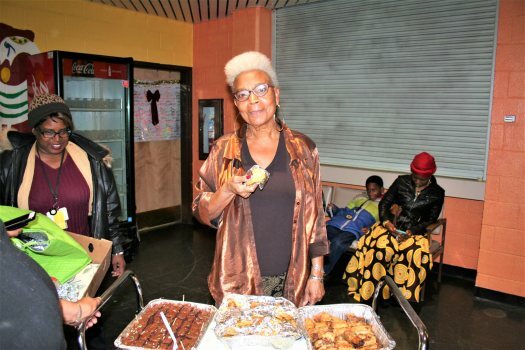 And, they welcomed over 750 individuals age 60 or better. Mattie Taylor retired in April, 2018, after 40 plus years, as a Nutrition Site Manager for The Area Office on Aging, and Spencer Valley Senior Nutrition Program. 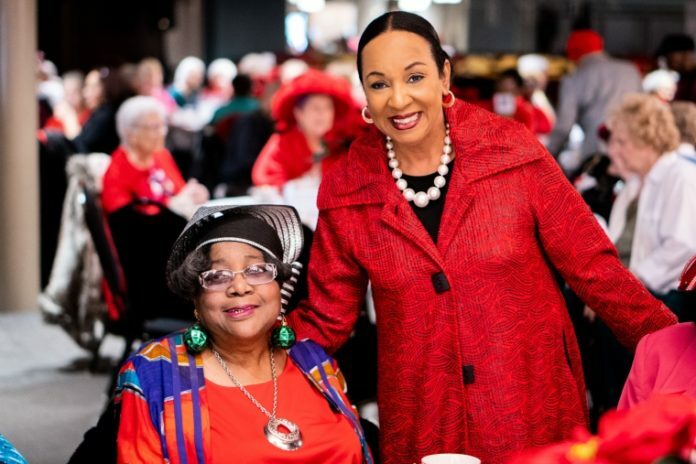 Mattie Taylor states that, she enjoyed the Christmas Party, and she will continue to attend all the events that the Area Office on Aging will have for the seniors. 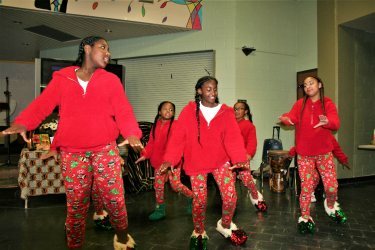 Everyone enjoyed a formal sit-down lunch, entertainment from singer Marcia Bowen, DJ One TyMe, the Anthony Wayne High School Choir, and, of course, a visit from Santa Claus. 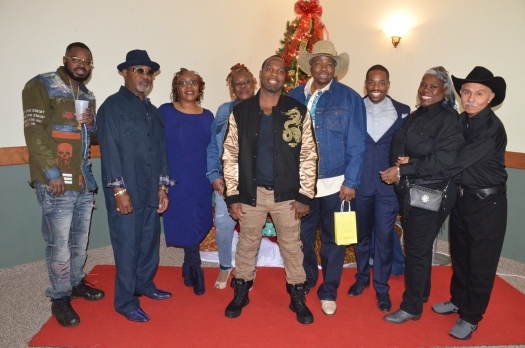 On Friday, November 23, 2018, was a day that turned out to be an exciting evening for Lee Johnson, Jr., as he celebrated his birthday with over 40 family and friends, with some coming from out-of-town. 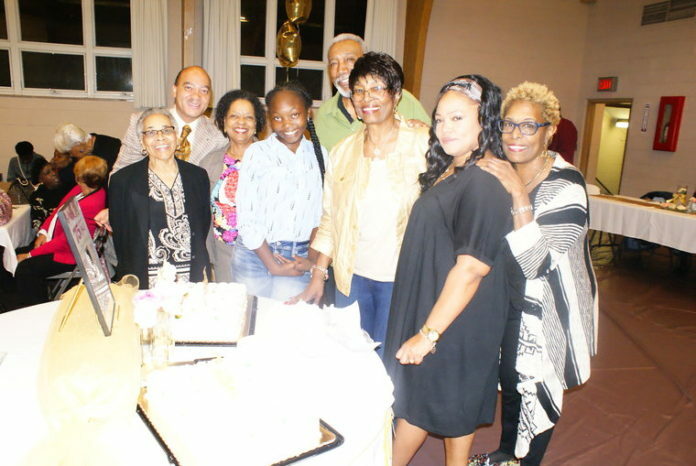 As the youngest and only brother of seven siblings, Lee has five sisters (one is deceased) who celebrated with him and they are Malinda and Yvonne Johnson, Tena Morales, Darlene Booth and Deloris Johnso-Coogler. His cousins, GG and John came from Chicago, Illinois and there were many of his nieces, nephews a great nephew, brother-in-laws, along with a host of other relatives and friends, in attendance. 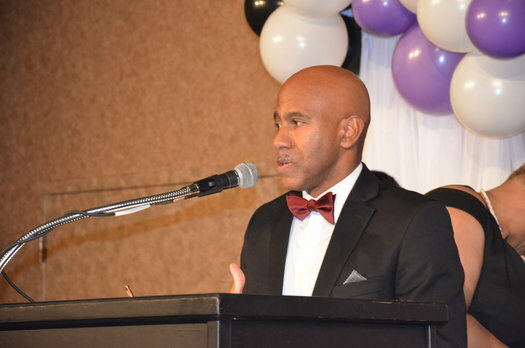 Although, Mr. Johnson is a Scott High grad, he celebrated his special day with the Libbey all class grads’ annual cabaret in the Garden Lake Banquet Hall. 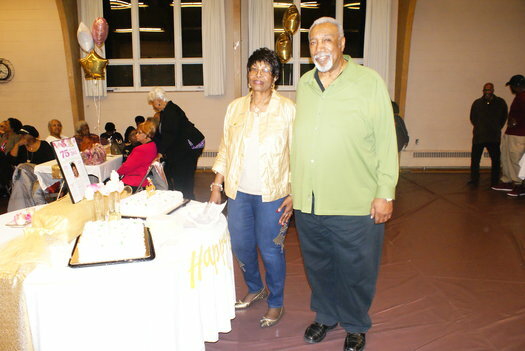 And, as a coincidence, a friend he grew up with, Diane Parker, who attended Libbey, (husband Sylvester) was there and her birthday was on the same day. 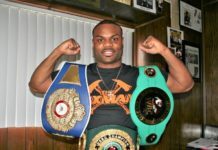 As a native of Toledo, Mr. Johnson is a faithful union member of Laborers Local 500. By Eddie B. Allen Jr. When Toledo native John S. Scott looked out into the audience of the first New York play he’d written only six people stared back. In some ways he was Tyler Perry decades before Tyler Perry came along, starting from an unlikely background and fueled by a love of storytelling – and a desire to create more provocative black characters than Madea. 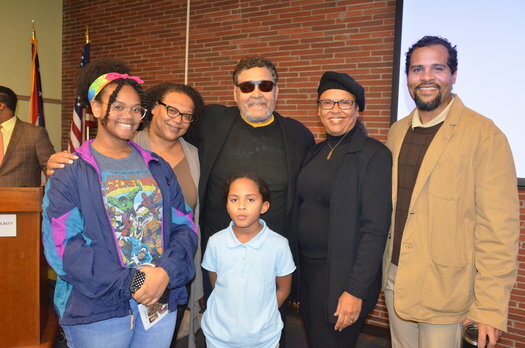 Dr. Scott stands with his family (left to right) Niala Langster, Malaika Bell, Dr. Scott, Neema Bell and Jon’Jama Scott. Front center is Eisley Scott. Today Scott, 81, is the newest inductee of the Toledo-Lucas County Public Library’s Toledoana Collection. The former Bowling Green State University theater professor attended a Nov. 19 ceremony where several of his published works were accepted into the special division of Local History and Genealogy. Library officials including Director Clyde Scoles congratulated Scott before a crowd of about 50 family members, friends and colleagues at the Kent Branch for Scott’s success with scripts like Ride a Dark Horse. 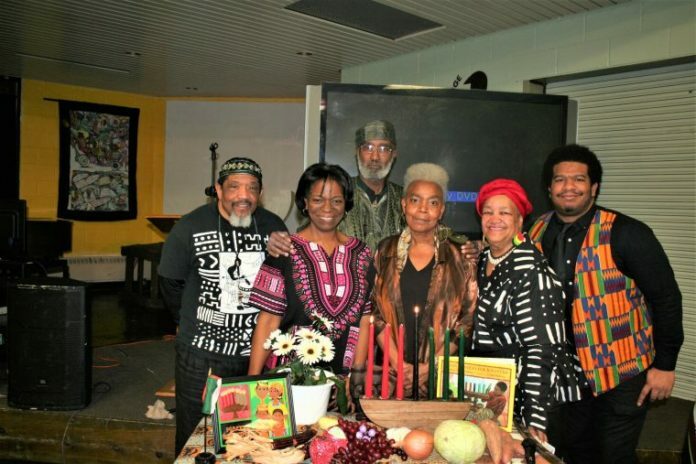 Scoles called it a special occasion “to honor a Northwest Ohio playwright,” given the library’s frequent recognition of nationally and internationally known authors. Rhonda Sewell, external and governmental affairs manager for the library, recalled getting to know Scott when he gave her an adjunct position at Bowling Green State University where he chaired the ethnic studies program in the 1980’s. “He is the most creative, intellectual person that I know,” Sewell told the audience. 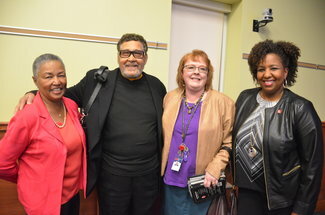 (Left to right) Laneta Goings, Dr. Scott, Jill Clever, and Rhonda Sewell pause for a photo. 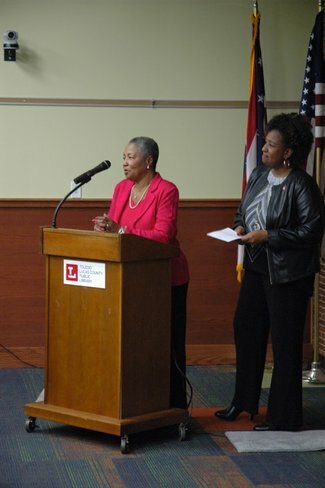 Laneta Goings (left), president of Books4Buddies and Rhonda Sewell (right), Toledo Library Manager of External and Governmental affairs, speak at the induction. 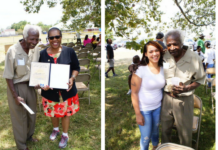 District 4 Councilwoman Yvonne Harper was joined by District 1 Councilman Tyrone Riley and Council Member-at-large Larry Sykes in presenting Scott with a City of Toledo resolution. 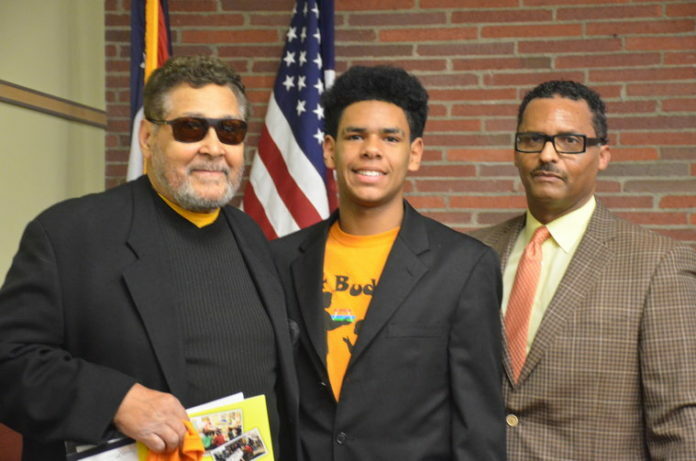 Scott received additional praises and accolades from Books 4 Buddies co-founder Laneta Goings, program mentor Christopher L. Smith and Dorian Myers, a Books 4 Buddies youth ambassador. As part of Books 4 Buddies programming, Scott conducted the “Hook It Up” eight-week writing workshop for about 16 young men at the Birmingham Terrace homes this year. Smith and Myers honored Scott with a presentation that included a Books 4 Buddies t-shirt. Scott’s writings for the stage have featured performers who went on to become some of today’s most popular black actresses in television and film. Among Scott’s works included in the Toledoana Collection are: Afternoons at the A.O. Café, My Little Black Book: A Memoir, Shorty: Six One-Act Plays, and Lizard Therapy. 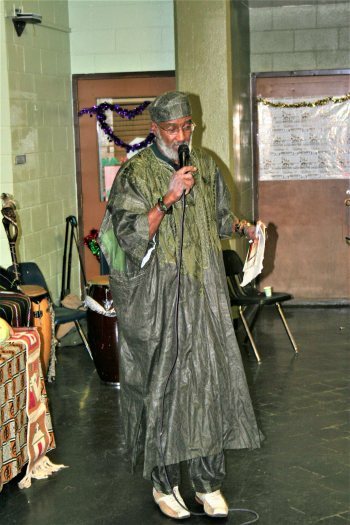 Along with his literary achievements, Scott carved out a successful career as a director and educator, teaching theater and fine arts at Bowling Green, Jackson State University, Florida Memorial College and other higher learning institutions. Audience members listen as Dr. Scott speaks. He cited the famed novelist James Baldwin and an elementary school teacher who introduced him to classic literature as among his career influences. 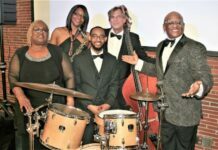 Being honored by friends and peers in his hometown is more humbling than other formal recognition, the past recipient of the Ohio Governor’s Award for the Arts told the audience. 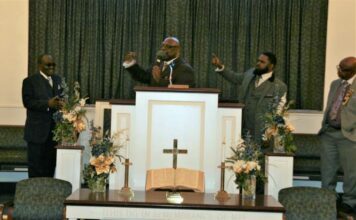 From left, Pastor Willie Harper, keynote speaker, Rev. Dr. K. David Johnson, Rev. James Willis, senior pastor at St. Paul’s Missionary Baptist Church, Catherine Crosby, chief of staff for Mayor Wade Kapszukiewicz, and Tyrone Riley, Toledo City Council, District One. 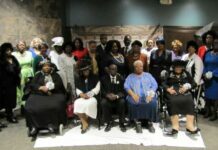 Since January, the members of Third Baptist Church have been commemorating their 150-year anniversary by hosting monthly events. The nearly year-long celebration came to an end during the weekend of November 10th and 11th when they hosted their anniversary banquet on Saturday evening at the Radisson Hotel at the University of Toledo, 3100 Glendale, and concluded with church service the following day, at their church, located at 402 Pinewood Ave.
Sirlema Crowley anniversary chairperson told The Toledo Journal that the banquet would feature musical selections by “Women of Genesis,” members of Third Baptist Church, and Debra Gardner, a member of St. Paul’s Missionary Baptist Church. Further, the keynote address would be delivered by Willie Harper, pastor of Jesus Christ for All Nations, located in Dublin, California. 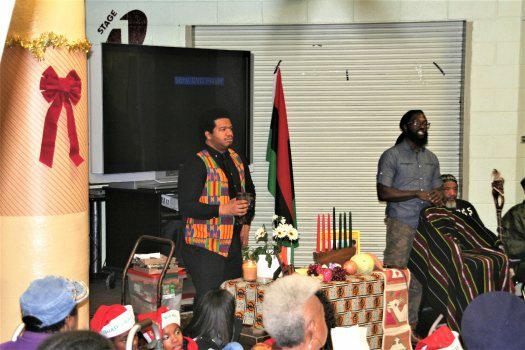 The former native of Toledo spoke on the topic of generational building. 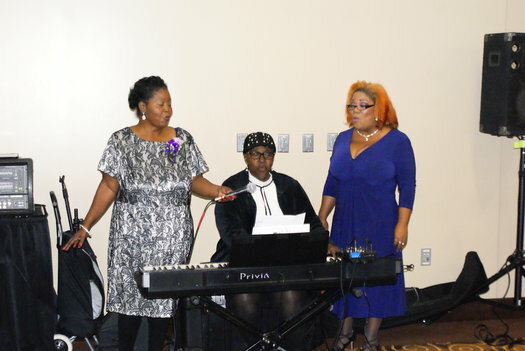 Third Baptist’s ‘Women of Genesis’ performed during the banquet. “It’s an honor to be the keynote speaker for a church that’s been around for 150 years,” said Pastor Harper. “When many churches fail within a few years, Third Baptist continues to shine throughout the city,” he said. 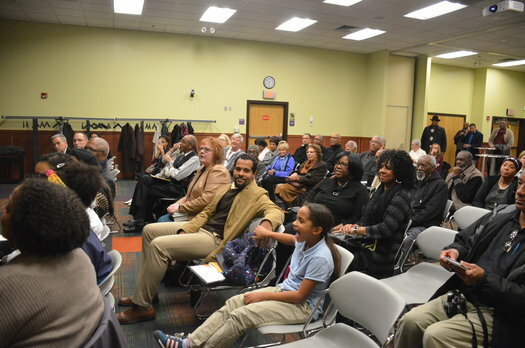 “Third Baptist develops leaders for Toledo, and the rest of the United States,” said Rev. 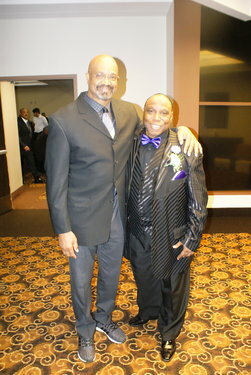 Dr. K. David Johnson, senior pastor at Third Baptist. “We have teachers, lawyers, doctors and other professionals that are members. 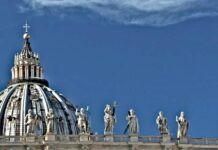 That’s one of the things that distinguishes us from other churches; the fact we develop leadership for the country. 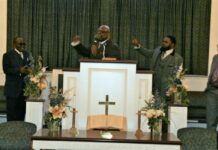 This unique combination continues to make Third Baptist relevant in a time when other churches fall off,” he said. Also, proclamations from the Mayor’s office, as well as, city council were presented. As a member of 48 years, Ms. Crowley said it was an honor to serve as the chairperson. She described Third Baptist Church as a family. “We’re a very close to each other. The members are just like family,” she said. The staff of the Toledo Urban Federal Credit Union honored members from the community who’ve helped make the union a success during its 22 years of existence. 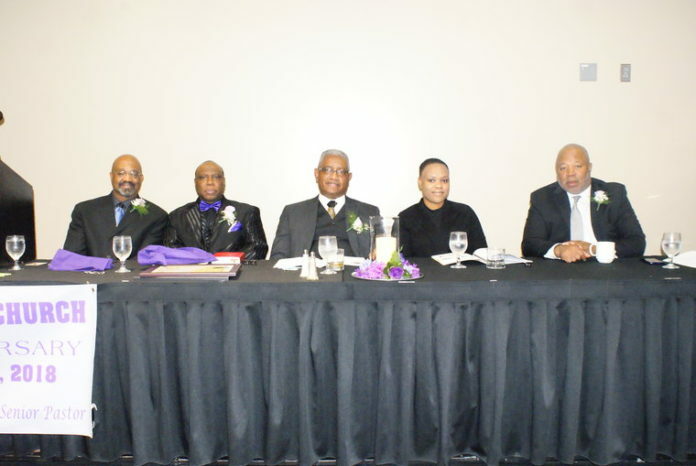 That show of appreciation took place on Saturday, November 17 at the Pinnacle in Maumee, Ohio, at the Union’s Appreciation Banquet. Honored guests included Chief Brian Byrd, Toledo Fire Department, First lady Sheila Cook of New Life Church of God in Christ, Bernard ‘Pete’ Culp, retired school administrator, Jessica LaValley, nonprofit expert, Randy Oostra, chief executive officer of Promedica, Ann Riddle, executive director of Northwest Ohio Scholarship Fund, Celeste Smith, community and minority health supervisor at the Toledo-Lucas County Health Department, Michelle Fleetwood, wife to David Fleetwood, head of Local 500, and Tommy, and Tina Butts, business owners. 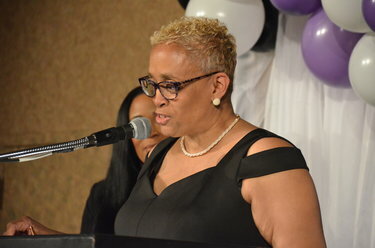 Suzette Cowell, President/CEO of Toledo Urban Federal Credit Union, told those in attendance that the honorees have helped make the union a success over the years, and felt it was necessary to publicly honor those individuals. “I believe in giving people their flowers while they’re still alive,” she told her audience. Ms. Cowell further shared the trials the union went through over the years, some of which, may seem hard to believe, she said. Ms. Cowell spoke of the many obstacles that her, and the other founders had to go through to get established. Closing down, and receiving bad press from Toledo’s daily newspaper, were just two obstacles the union faced during its infancy. 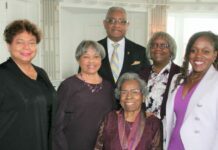 But it was the honorees that helped make the transition from infancy, to a fully established financial institute within the African American community. 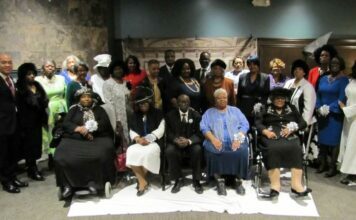 Although it was the credit union honoring members of the community, the honorees quickly praised Ms. Cowell. “The union is honoring us, but we should be honoring them,” Chief Byrd said. 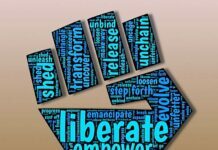 “They’re using their skills, and abilities to empower others who were blatantly denied by other financial institutes,” he said. “After 22 years of existence, the Toledo Urban Federal Credit Union is proof that black businesses can survive, and thrive,” said Pete Culp. Members of the NAACP stand with the honorees. 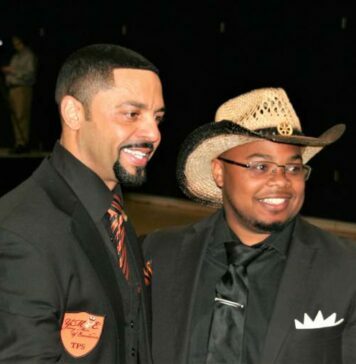 From left is, Michael Alexander, first vice president, Rev. 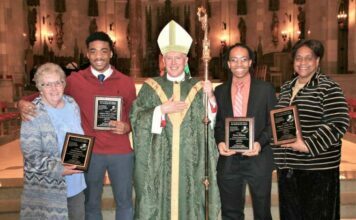 Willie Perryman, accepted the award for Rev. 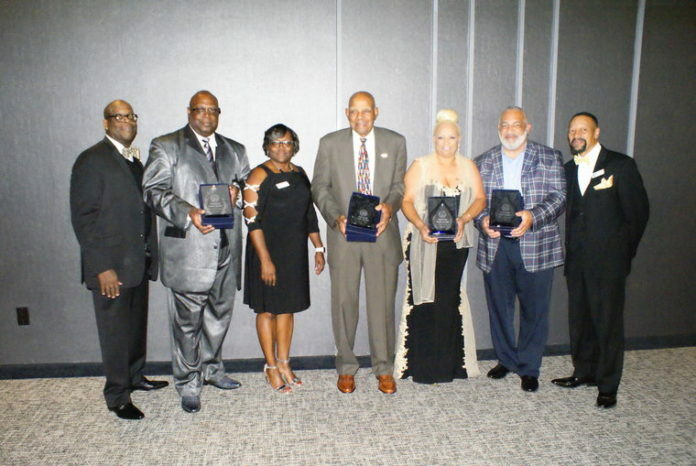 Dr. John Roberts, Anita Madison, committee member, honorees, Dr. Crystal Ellis, Tina Butts, and David Fleetwood, with Ray Wood, president. 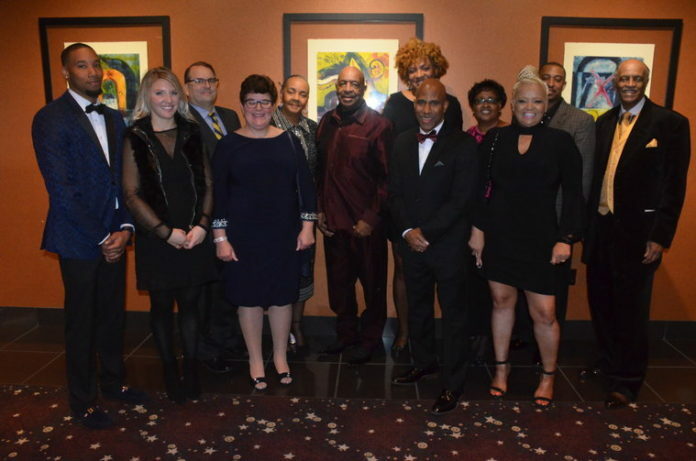 With the current political climate in the United States, the local chapter of the National Association for the Advancement of Colored People, NAACP, themed their 103 Freedom Fund Banquet, “Defeat the Hate-Vote. 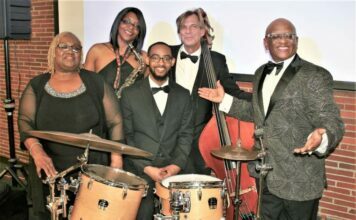 ” Held in the Great Hall of the Stranahan Theatre, 4645 Heatherdowns Blvd, African Americans’ oldest Civil Rights organization focused their event on celebrating accomplishments of young people, and using their expertise to encourage others to get politically involved. 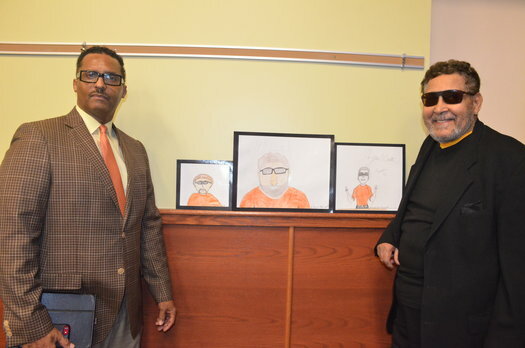 Kristian Brown, left, media personality, and Tyrone Riley, Toledo Councilman for District 4, recognize the winners of the Crispus Attucks Essay Contest. 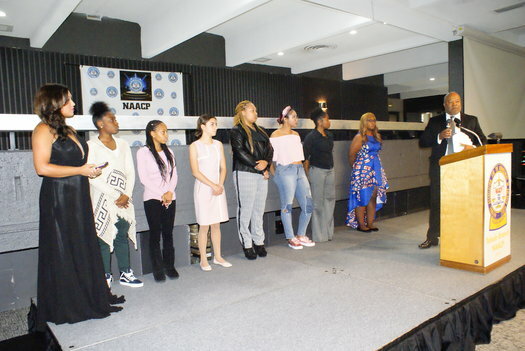 Partnering with Councilman, Tyrone Riley, and the NAACP recognized the winners of the Crispus Attucks Essay Contest that, Mr. Riley founded, and hosts annually. 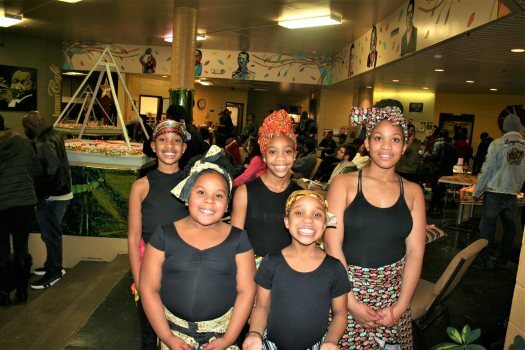 Over 100 young people throughout the county, male and female, black, and white, participated in the contest. 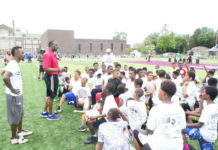 Of the 100, 14 were selected as the winners, with each splitting a cash prize of $2000.00. During her talk, Zuri Hall, co-host of E! News, used humor, and personality to drive home messages such as financial literacy, and the importance of voting. 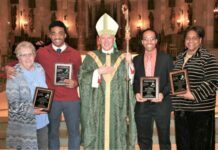 Then, the organization awarded four individuals with the Freedom Fund Award. 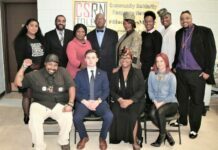 Honorees were selected based on community activism, as well as their impact, and the longevity of that impact within the community. The 2018 recipients were Dr. 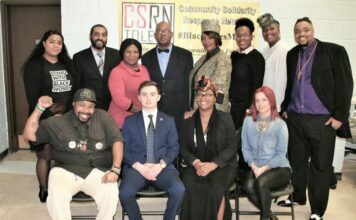 Crystal Ellis, former Toledo Public Schools, TPS, Superintendent, Tina Butts, business owner, and community activist, David Fleetwood, head of Laborers Union Local 500, and Rev. Dr. John Roberts, senior Pastor of Indiana Missionary Avenue Baptist Church. “Being the Superintendent of TPS was the most rewarding job I had,” Dr. Ellis told the audience after receiving his award. “When I was in that position, I didn’t look at color; I saw all the children as my children,” he said. When Ms. Butts received her award, she thanked the NAACP, and quickly applauded those whom she works with, for getting people registered to vote. 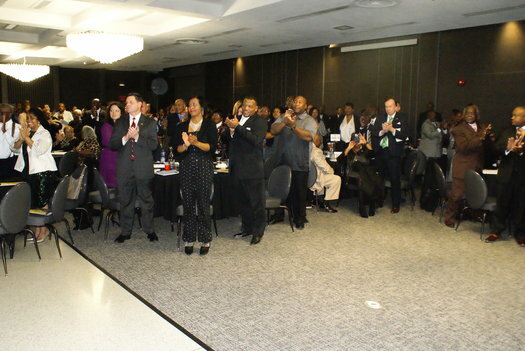 Applauding the honorees were people from all diverse political, and employment backgrounds. 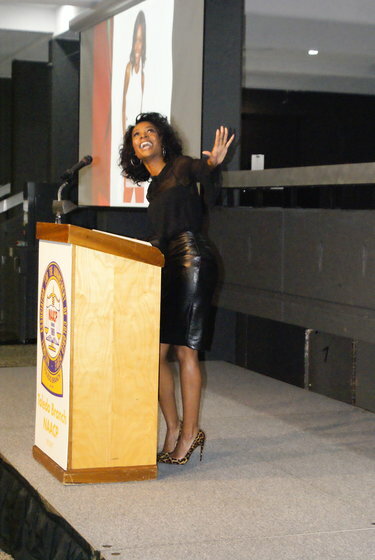 Serving as the keynote speaker of the event was Zuri Hall, co-anchor of E! News and former host of a variety of MTV shows, as well as Toledo native. 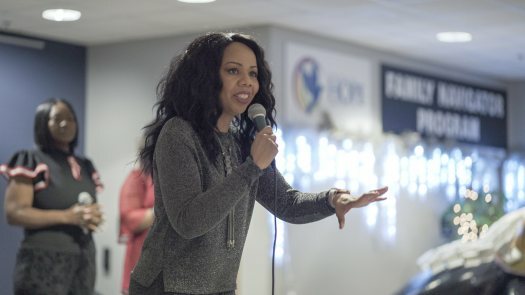 In a talk seasoned with humor, and a cheerful personality, the 30 year old spoke about her life in Toledo, and ultimately in Hollywood, where she would host her first television show at the tender age of 25. 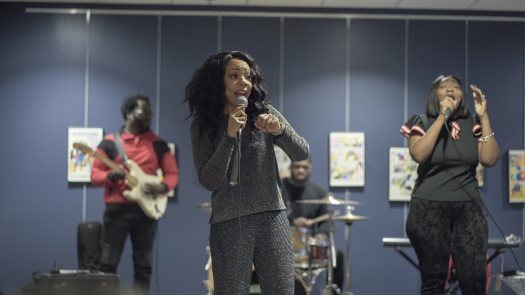 Ms. Hall told the audience that most people would think, because she attended Ohio State University on a full scholarship, graduated, and started working in Hollywood, she was financially literate, but she quickly dispelled that belief. She spoke of being in debt, which started in college with getting credit cards, and racking up that debt. Ms. Hall said that debt followed her to Hollywood, and continued to stress her out. “Thank God that the NAACP offers courses in financial literacy, so others don’t have to go through what I experienced. Financial education lays the ground work for freedom,” she said. Ms. Hall also encouraged all people to educate themselves on political candidates, and issues. She said when she first voted in 2008 for then, Senator Barack Obama, she was excited. But when it came time to vote in the midterm elections, two years later, she didn’t have a clue about candidates, and issues. “Now I study candidates and issues like I was back in college,” Ms. Hall said. 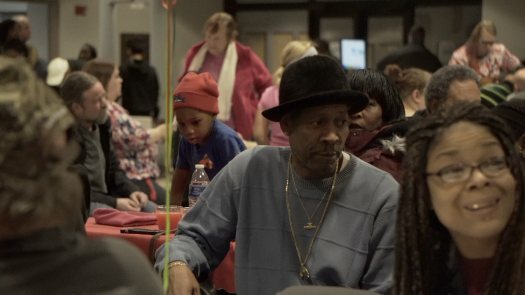 “Our big push this year is getting people out to the polls to vote,” Ray Wood, president of the local chapter of the NAACP told The Toledo Journal. 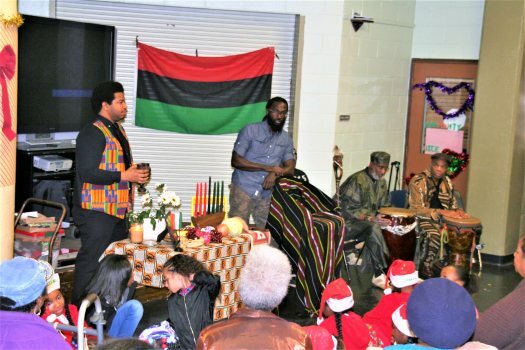 “Part of our effort in encouraging people, especially young people, to vote is utilizing, and recognizing the talents of our young people, like Zuri Hall,” Mr. Wood said. 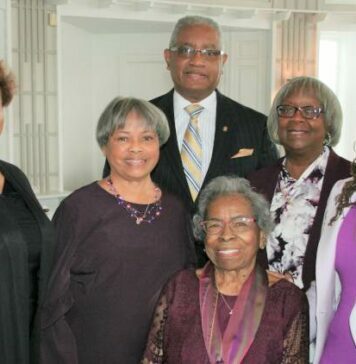 Ed and Geraldine Scrutchins, center, surrounded by a few family members and friends in attendance. It was her curiosity that caused her husband, of 49 years, to say, “Stop butting in, and let people do something for you.” Mrs. Scrutchins said she didn’t say another word, and just enjoyed the ride, and enjoyed arriving at the church being greeted by family, and friends. Ed Scrutchins surprised his wife, Geraldine with the party, even though her curiosity almost derailed the surprise. Mr. Scutchins said, “She always helps others, and we wanted to do something for her.” His words about his wife would be a common theme echoed throughout the night by family, and friends. “I remember when my wife was sick, and in the hospital, Geraldine would fix me dinners. I didn’t ask her to do it, she just did it and I really appreciate that gesture,” said Richard Earley, who was the best man at the Scrutchins wedding, 49 years ago. “She kept me in line with discipline, and helped make me the man I am today,” said Scot, Mrs. Scrutchins’ son. “She’s such a sweetheart. She opens herself up to help others, and today is our day to do something for her,” said Sean, Mrs. Scrutchins’ son. 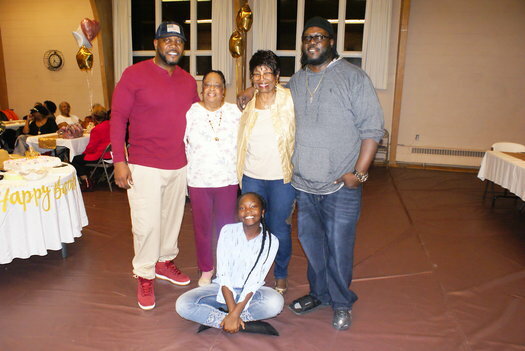 From left are, Sean Scrutchins, son, Betty Williams, sister, Geraldine Scrutchins, Scot Scrutchins, son, and Iyanna Scrutchins, granddaughter. “I’m surprised this many people came out tonight,” said Mrs. Scrutchins, who took her time to greet, and thank everyone, who was in attendance. The secret to a good healthy, and vibrant life, she said, “Always be prayerful, and love, and care for others,” Mrs. Scrutchins said.